At A to Z Softwash, we use products and techniques to safely clean your roof, siding, fences, driveways, patios, decks, and more. Our techniques are safe for the materials of your roof or other delicate surfaces of your home. We use effective pressure washing to remove years of buildup and grime. All our services are done by highly trained and experienced professionals. Our experts have the skill and experience for house washing historical homes, cedar homes, and older brick homes. If you need an exterior cleaning service you can trust to do excellent work and make your property look great again this year, call us at the number below! Our Dartmouth roof cleaning experts at A to Z Softwash can completely restore the like-new condition of your roof. Whether we are getting the years of grime build-up that discolors the shingles cleaned or completely removing black stains, our roof cleaning techniques are safe and effective. We can also clean the siding and all other exterior areas. Just ask us about our Dartmouth house washing service. You're going to be astounded at how dirty the exterior of your home really was when you see the difference we've made! Windows are often hard to reach and clean because of window screens or location on a second story. It's not easy to get them streak-free either. If you have dirty windows, we can help you clean the exterior surfaces. Our exterior window cleaning service is available year-round, so don't hesitate if it's during the winter season. We'll make sure your screens are properly handled and that your windows sparkle! We use safe methods that don't harm your windows or the siding of your home. Call today for a competitive estimate or feel free to as any questions. 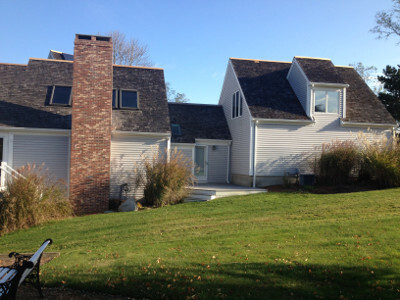 If you are looking for a Dartmouth, MA roof cleaning and exterior pressure washing service, please call 508-209-7795 or complete our online request form.